Many business owners are either paying too much in taxes or they live in fear that they’ve accidentally paid too little and it might come back to haunt them. Or both! There’s no need to live like this. Have a CPA sort it all out, and you can breathe easy. There are dozens of accountants in Santa Rosa and Sonoma County, but not all of them specialize in business. Susan Adamson is not only a CPA, but she has a master’s degree in business taxation and many years of experience in accounting for multi-national corporations and small start-ups. She’s also a business consultant, so along with straightening out your taxes, she can help you with all your other bookkeeping (including Quickbooks) and give you some great tips for bringing in income. 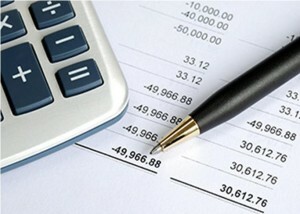 When you are just beginning to set up your business is the best time to consult a CPA/business consultant. Knowing what kind of business you are and how you will file taxes from the very start makes a world of difference. However, if your company has begun piecemeal or taken off faster than you anticipated and now you are starting to ask all the questions you wish you would have asked yourself two years ago, you can still bring all your information to SCA and we’ll help you answer those questions and straighten everything out in a way that you can understand. You’ll be so much more in control moving forward. If you’re looking for business accountants in Santa Rosa and Sonoma County, look no further than SCA and Susan C. Adamson. CONTACT US or call (707) 799-2705 for tax preparation and business consulting you can understand and trust!